There’s an inspirational quote that says, “You can’t heal what you won’t reveal.” Transparency and honesty are vital components to begin your journey towards emotional and mental healing from trauma and loss. Dr. Estrelita Bruce (Dr. E) of A NEW ME has written an important book to help women navigate through life’s challenges. Her transparency has allowed women to relate to her stories of loss. 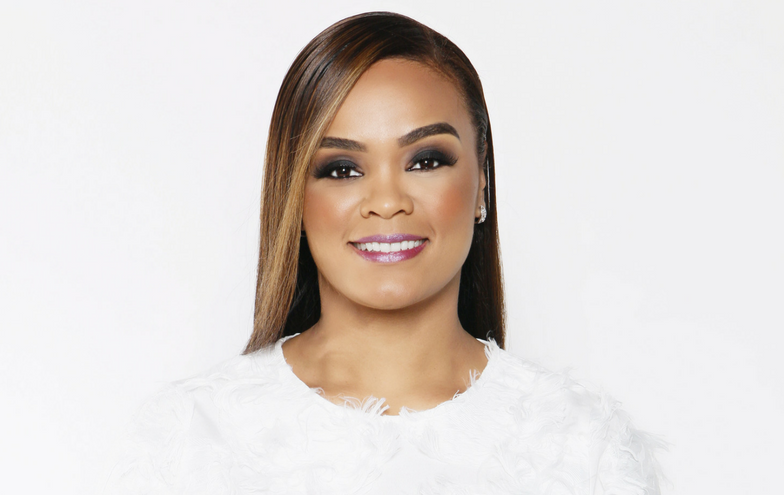 Dr. E shared her inspiration behind her new book, My Journey Towards A NEW ME. The willingness to be transparent about your life’s struggles requires immeasurable courage. What inspired you to write the memoir, My Journey Towards A NEW ME? You’re absolutely right! It takes a lot of courage and might I add resilience. It’s not easy to expose your journey when there are broken areas of your life. I once lived in a place of shame because of it but when I began to be honest about how those moments affected my life good and bad I began to experience healing. I struggled with sharing this at first, but I knew it was something God wanted me to do. As I began to write it, I knew by sharing my story with others it would give them the permission to experience transparency and healing as well. It was a tedious and arduous process but I wouldn’t change a thing about it. What was the most challenging part about sharing your personal stories? The most challenging part was deciding on how transparent I needed to be. There were many parts of my memoir that I really wanted to share general parts of my life. Actually, my amazing editor, Laci Swann of Sharp Editorial, helped me to pull out even more details of my life. Either I was going to be all in or not. In those moments I knew that by sharing those gritty details in my childhood and adult life someone else would connect with that very moment. It would help them to see themselves, reconnect with that moment again, but most of all learn how to heal and move past it if they feel stuck. It was challenging but I’ve read reviews about my book that made those challenging moments most rewarding. It means the world to me! I had so many different titles in the past 10+ years of what it would be. It kept changing over and over again. It wasn’t until last year that it all came together for me. With the combination of my company name change (From Zoea Life to A NEW ME) and our motto (Transforming your traumas and losses into opportunities for personal growth, healing, & purpose) I realized it was actually the recurring theme to my entire life. I’ve always been on a quest to become a better me. A NEW ME is continuous. You will continue to arrive at A NEW ME through the challenges and joys of life. The challenges are what shapes us. In that place is where all of the he rich opportunities are found. The inner work is done in those trenches. The character, the strength, the will to fight, build a closer relationship with God, and more understanding of yourself is found in the broken experiences and challenges. That is what makes those experiences so rich. That is what makes it a journey. I wanted to share my personal journey with others so they could be inspired to know if I can make it, heal from those struggles, and find purpose in it all they can, too. What do you hope women take away from My Journey Towards A NEW ME? I hope they will take away a fresh and positive perspective on the oppositions, traumas, and losses of their life. I want them to see that despite what they have gone through God wants to teach them a better way to manage inevitable hardships…through Him, through trusted people and resources, and to trust in their inner strength to overcome. I want them to see there is purpose even in pain. It will be a unique journey for each of them, but they can and will make it. I want them to take away hope in hopeless situations and a will to fight for their healing. I want them to see there is power in transparency and to reconnect to their strength…vulnerability. I want them to also know their story is significant and someone else needs to hear about it. I want them to feel empowered and the desire to live life again and to ultimately see that God loves them no matter what mistakes they’ve made. God is willing to give them another chance at life as they learn to trust Him wholeheartedly! At the end of each chapter you share your signature Debriefing Moments and A NEW ME Life Tips. Will you share one or two of those tips that will help our readers to move towards their own journey of discovery in the new year? This book actually started out in journal form. The pages of this book were the purest form of my raw emotions and thoughts on paper. My written words were one of the most effective and cathartic methods to help me process my pain. Journaling can help you as well. I encourage you to apply this A NEW ME tip to help you process traumas and loss. These can be the initial steps on your path toward spiritual and psychological healing and growth. Do you have plans to write a follow-up book? If so, what can we expect from the new title? Hmm, I don’t think I’ve thought about a follow-up book after this one, but maybe something to think about. However, I’m starting a Modern Day Book Club in this new year called “The Discussion.” It will be at the end of each quarter. I will be breaking down specific chapters and giving attendees the opportunity to share how those moments personally impacted them. I will also have featured individuals to discuss how the book impacted them. I think it will be a great platform to help women share their stories and share specific experiences. I’m super excited about it! Please subscribe to my newsletter for specific dates regarding this event. They can go to www.anewmedre.com. 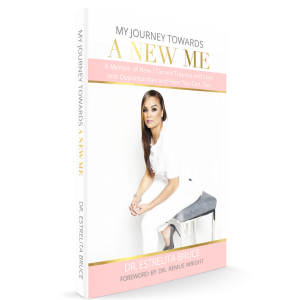 Where can our readers purchase a copy of My Journey Towards A NEW ME? They can go directly to my website at A NEW ME to get their copy. I encourage women to start a book club. They can have their own “discussion” about it. I believe it will be a blessing to anyone who’s looking to heal and overcome personal challenges!